This isolated barrier is used for intrinsic safety applications. 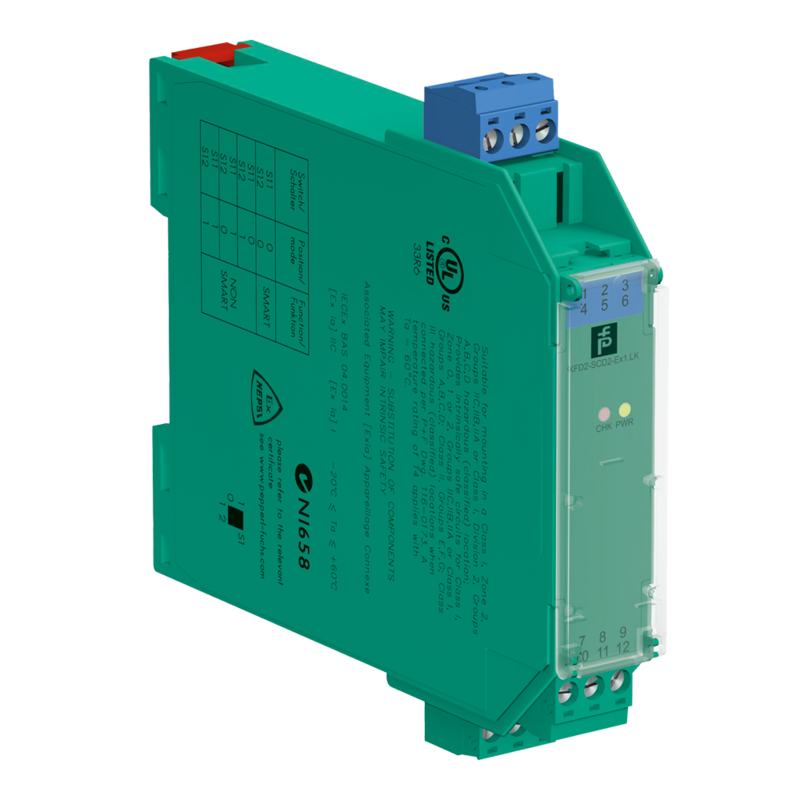 It drives SMART I/P converters, electrical valves, and positioners in hazardous areas. Digital signals are superimposed on the analog values at the field or control side and are transferred bi-directionally.